Chatting with winemakers and winery owners is almost always interesting. I know I’m lucky as a wino because most people just don’t get the chance to do that. The second day in the Willamette Valley was highlighted by a delightful visit with Elizabeth Chambers – and visiting her new namesake winery – and talking with an old acquaintance, Jesse Lange. The Chambers’ name is big in Oregon, broadcasting/construction and more, but also big in wine. Elizabeth’s mother owned a winery since the late 70s. Elizabeth Chambers and winemaker Michael Stevenson wanted a winery that was all about great wines driven by the vineyard and not by ego or someone else’s expectations. Elizabeth owned McMinnville’s old city power plant and realized it could make a really cool winery/tasting room. Exposed brick and an outdoor courtyard makes the space perfect for gatherings and special events. The wine lineup includes a Pinot Gris and four vineyard-designate Pinot Noirs. Stevenson’s wines are beautiful with wonderful aromas, perfect balance and ready to drink now or to cellar. Chambers had previously owned Panther Creek wines with Stevenson as the winemaker. Chambers sold that interest and the two launched Elizabeth Chambers Cellar. 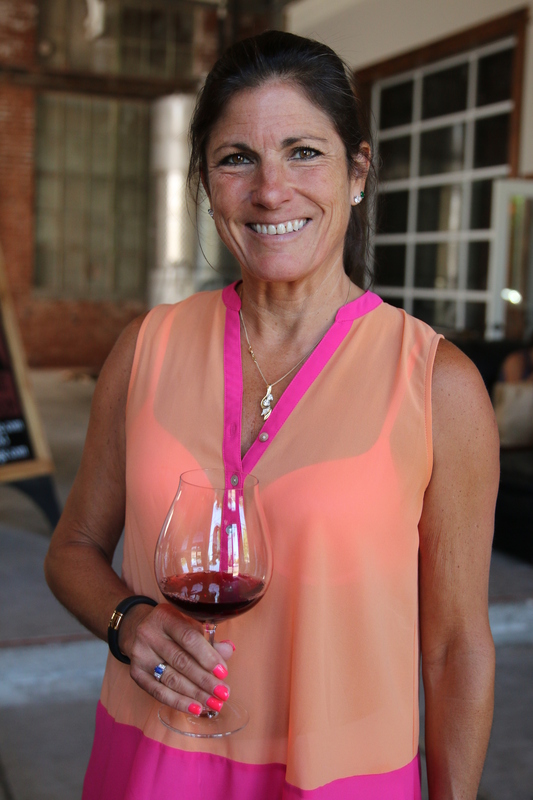 She describes the wines as light – or feminine – with great balance. Chamber has no desire to be a huge producer but is intent on making the best Pinot possible. There is little question she’s off to a great start. I have interviews and photos with the two of them which will surface as a full story in one of my wine writing outlets in the near future. Lange Estate Winery has been one of my favorites since my first visit about seven years ago. I chatted with Jesse Lange then, a couple of times since and today. Jesse can range from outspoken to cautious but he seemed energized today. He has new projects he’s deeply committed to at the iconic winery. He has a new small-production series based on soils – three wines from three different soil types. The estate has expanded over the last decade and he has new vineyards coming into production. The combination continues to fuel an enthusiasm to make wine a little better every year than the previous vintage. 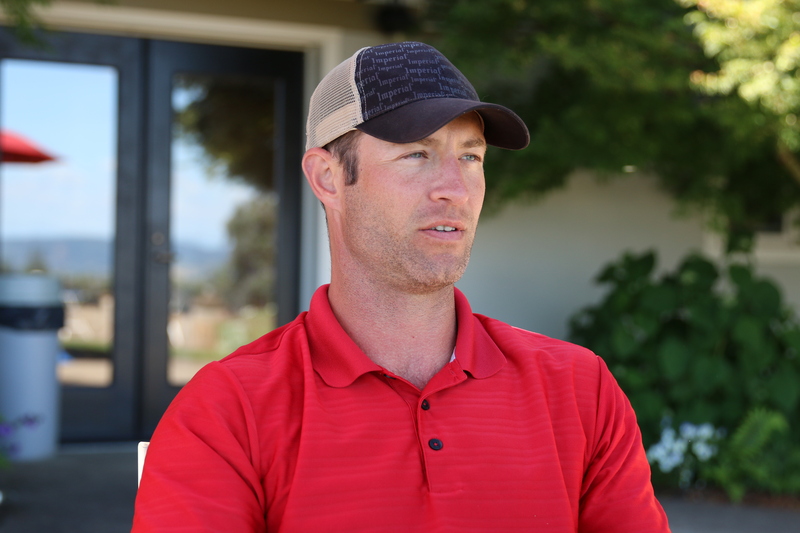 Lange has been around since the late 1980s but is respected across the valley as one of the great, and most consistent, craftsmen of Pinot Noir in the valley. The wines are widely available (including Indiana) and are great values compared to the competition. Lange’s Willamette Valley Pinot (under $30) is about the best bottle at the price point. The higher-end wines are perfect for aging and well worth the investment. Tomorrow (Tuesday) I’ll taste the ‘soil’ Pinot series and that’s exciting. I also did a recorded interview which will also be used in future posts or other writing outlets. My wine tourism group arrived in Portland today. We’re getting together tonight then headed to the Valley tomorrow morning. Grape Sense’s first ever wine tour is about to get underway! We enjoyed your visit, Howard! Sounds like your tour was perfect. Come back soon.